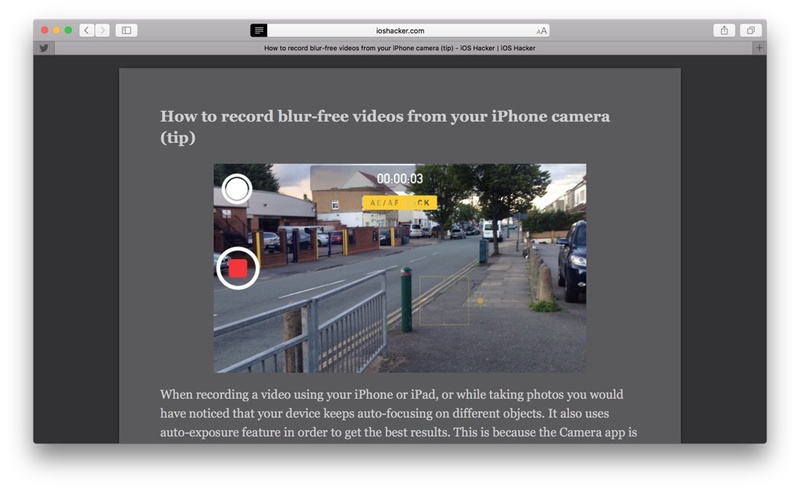 Reader View is one of the most useful features of Apple’s desktop web browser and now Safari 9.0 is here to push it one step ahead. 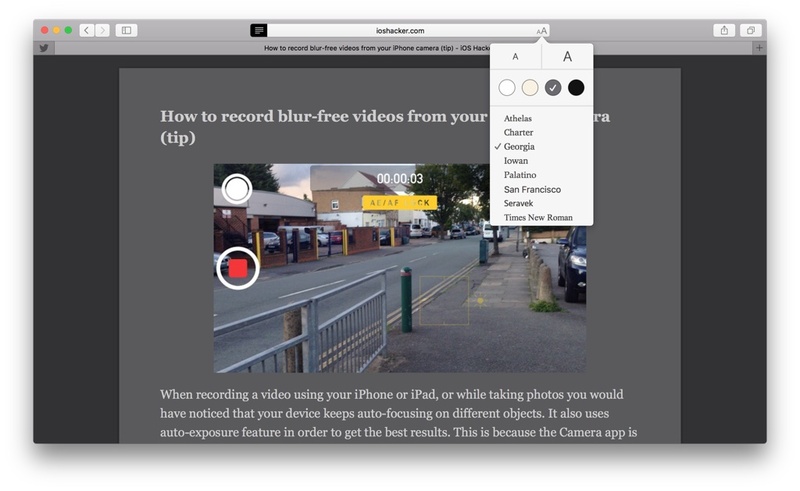 Safari 9.0 comes with OS X El Capitan (you can also download it for earlier versions of OS X, check the link below) and besides other improvements it now gives you the ability to customize the Reader View. Prior versions only allowed you to change the font size, but now you can also choose different colors and font styles for the Reader View. Safari 9.0 includes four colors for the Reader View: white, sepia, dark gray and black, moreover there are 8 fonts to choose from including San Francisco, Apple’s new system font. If you are on OS X Yosemite or Mavericks you can also download the Safari 9.0 beta from here. All you need is an Apple ID. 2. Load the article you want to read. (Some sites may not support Reader View. However, it works fine with most popular blogs including iOSHacker). 3. If a site support Reader view then it will show you a Reader view button in the address bar as shown above. Click it. 4. Now you’re in the Reader view, a streamlined and clutter free reading experience. 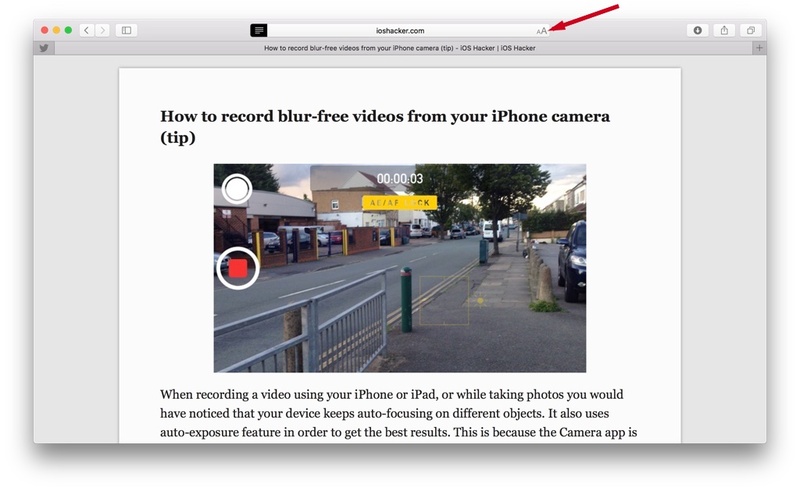 Now click the double AA icon on the right of Safari’s address bar to customize the reader. 5. A menu will appear with options to select reader’s color and font. Select the dark gray color or any other you want. You can also increase and decrease the font size by clicking larger and smaller ‘A’ buttons respectively.